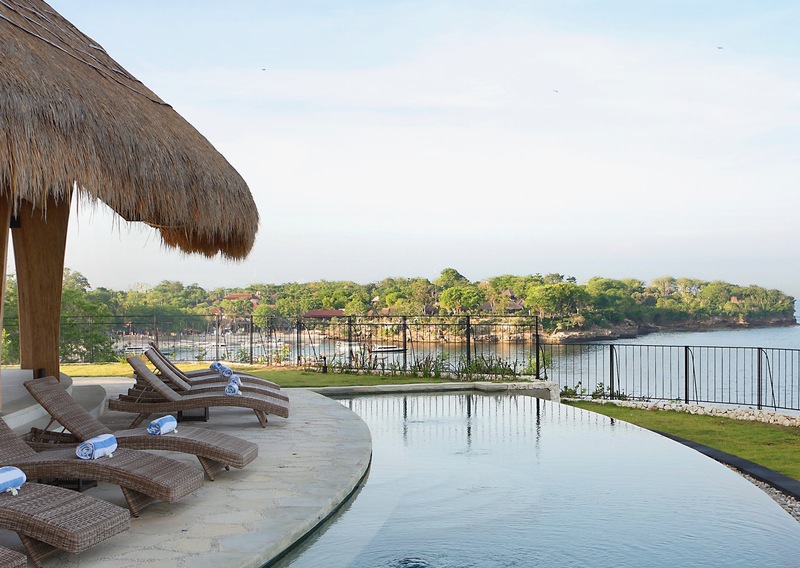 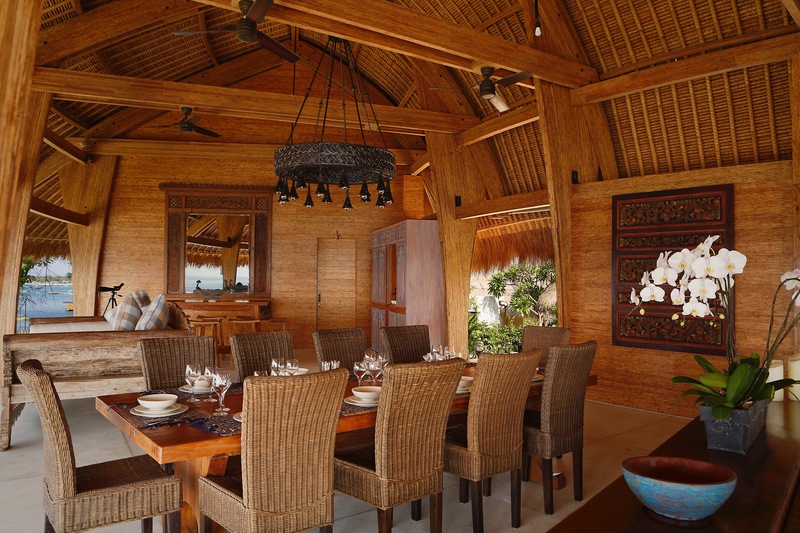 The villa is located on the Tanjung between Mushroom Bay and Tamarind Bay. 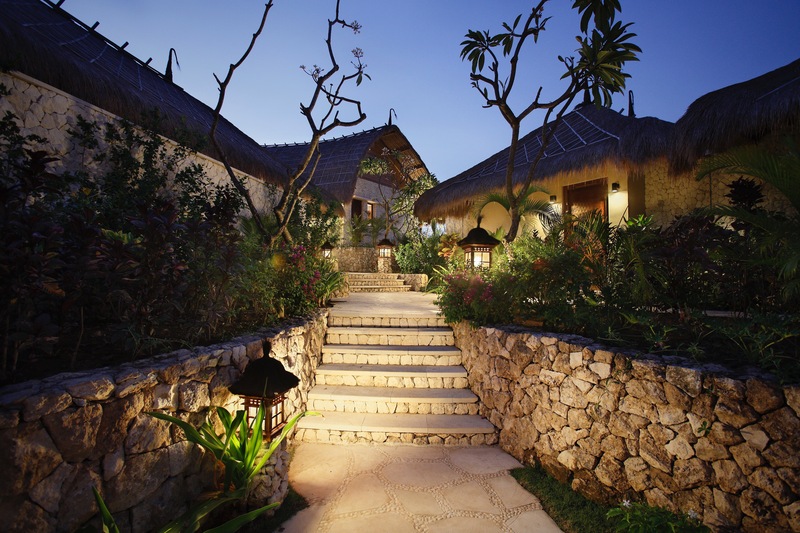 You will pass within 30 metres of it on your boat ride to Lembongan. 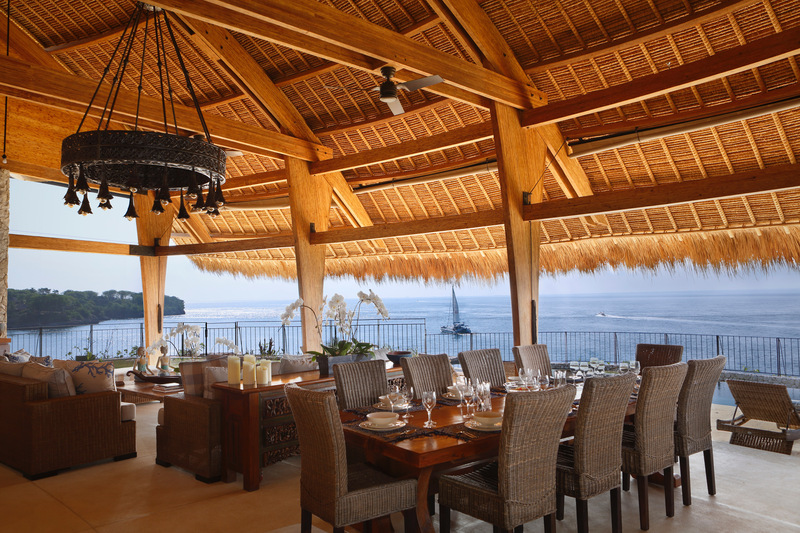 Being on a promontory, the villa is open to cooling breezes,has uninterrupted 270 degree views over water. 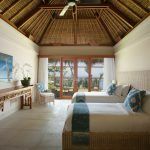 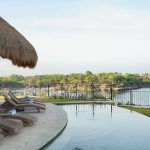 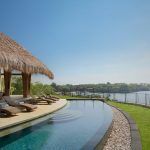 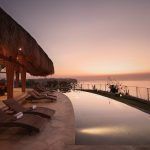 It overlooks Lembongan’s three famous surf breaks of Playgrounds, Lacerations and Shipwrecks – and beyond them to Bali and Mount Agung. 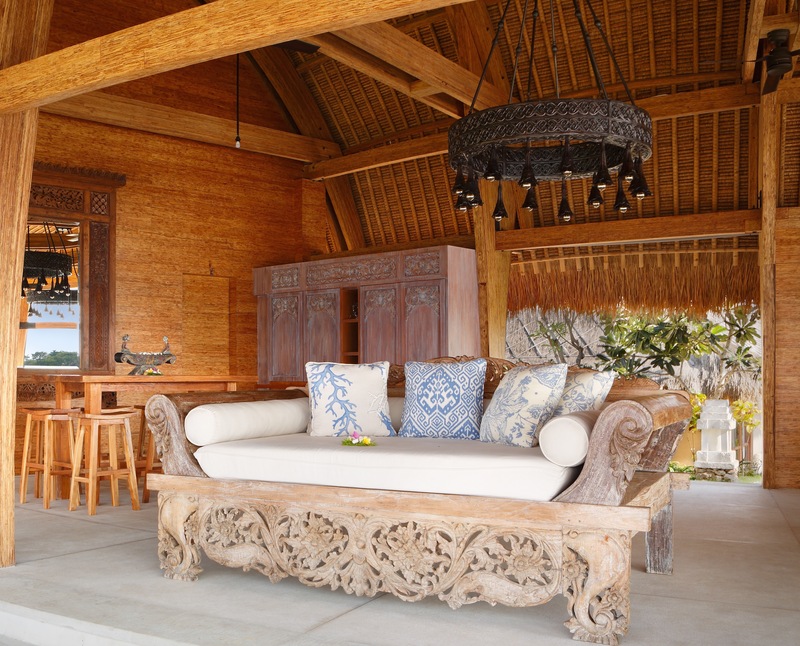 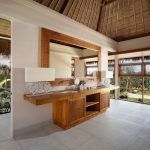 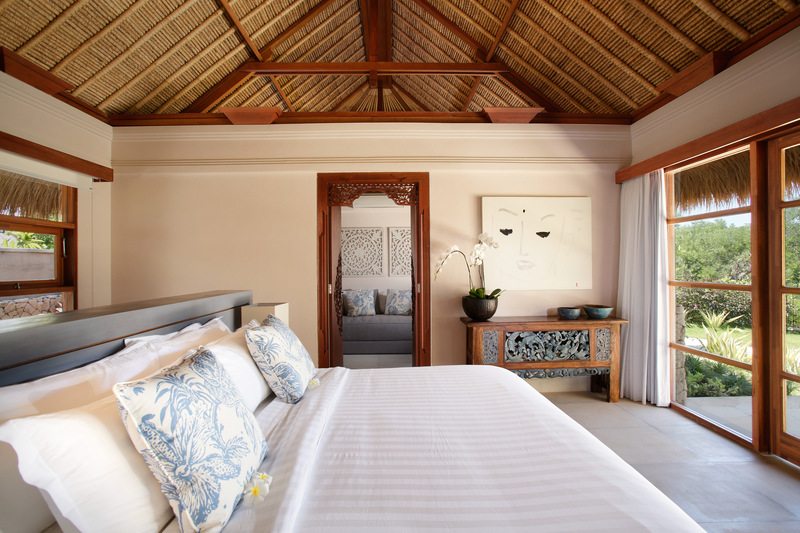 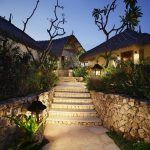 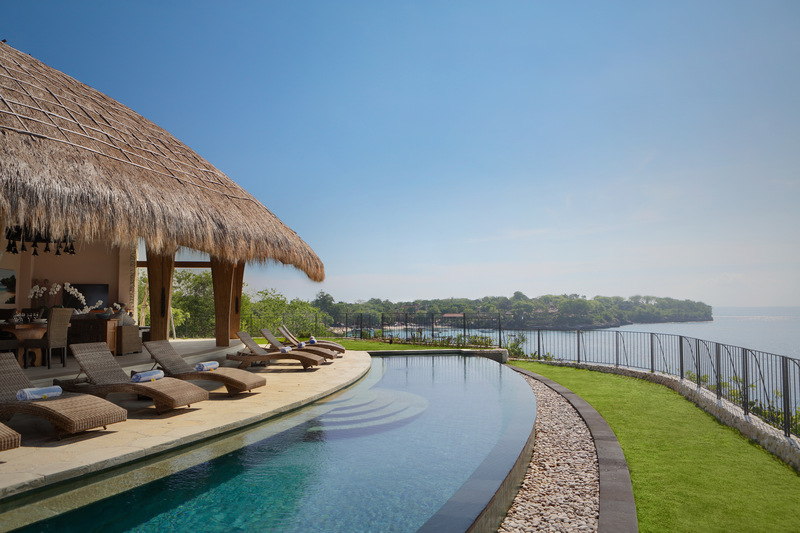 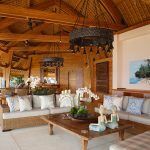 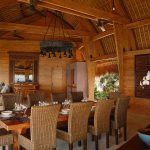 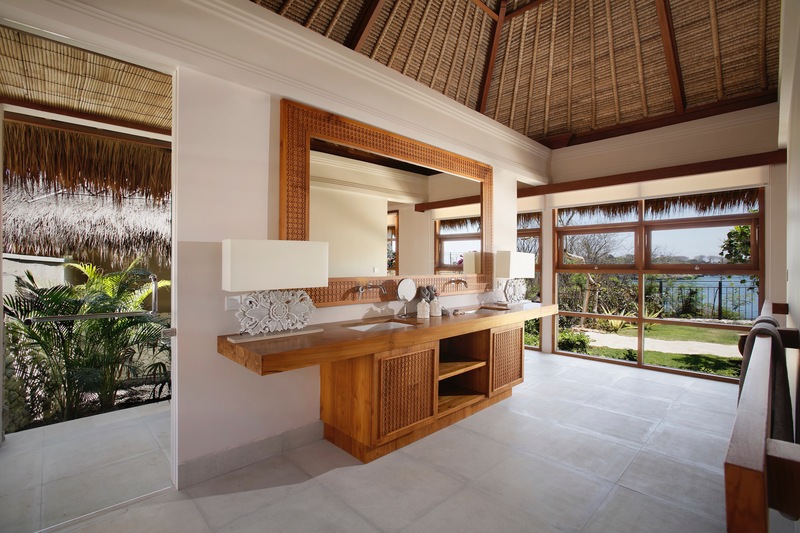 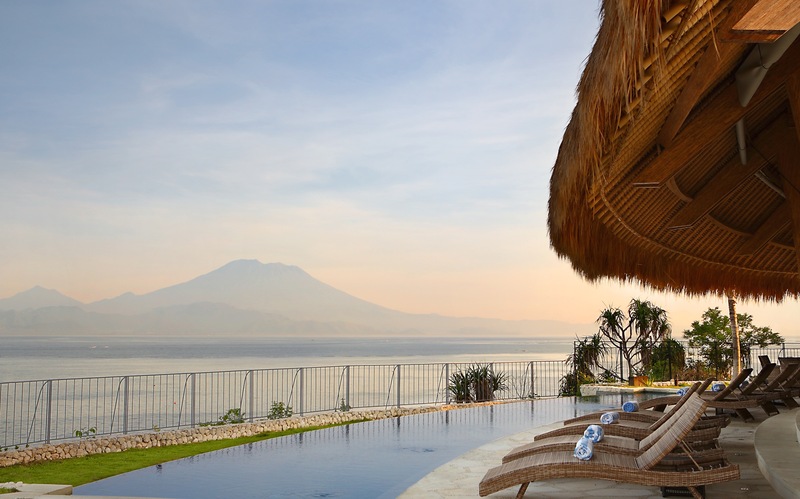 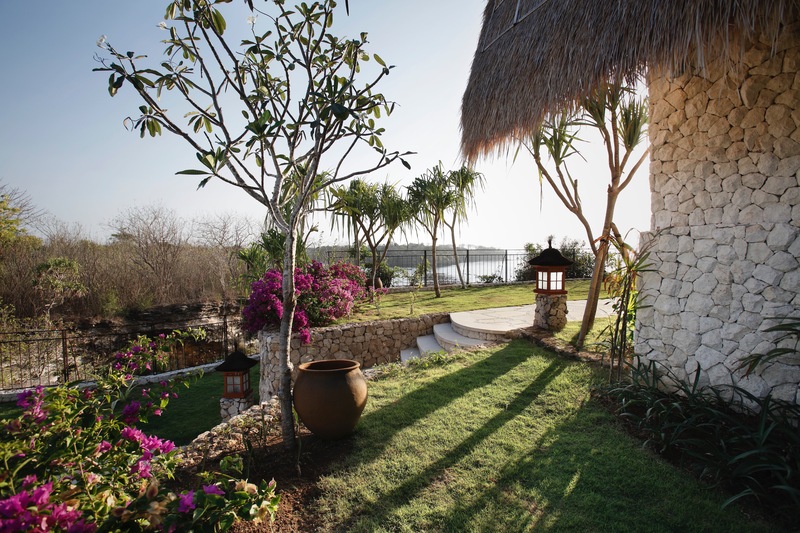 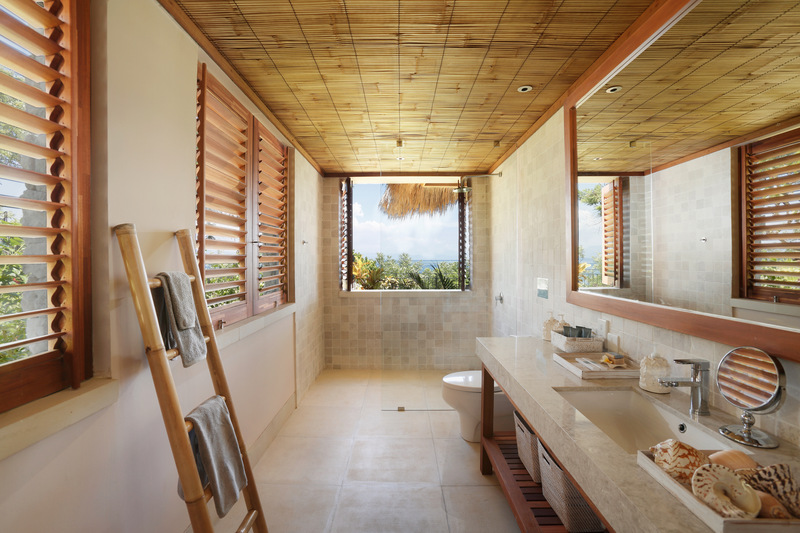 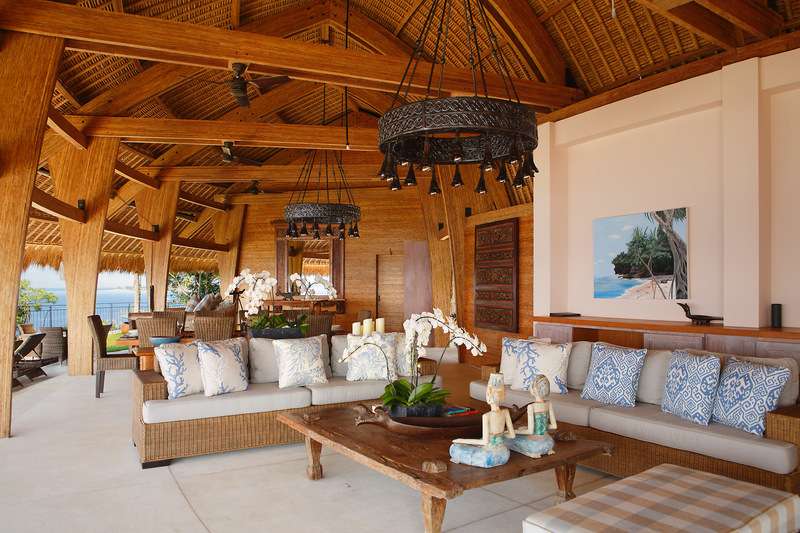 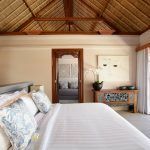 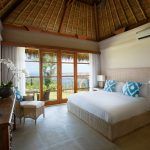 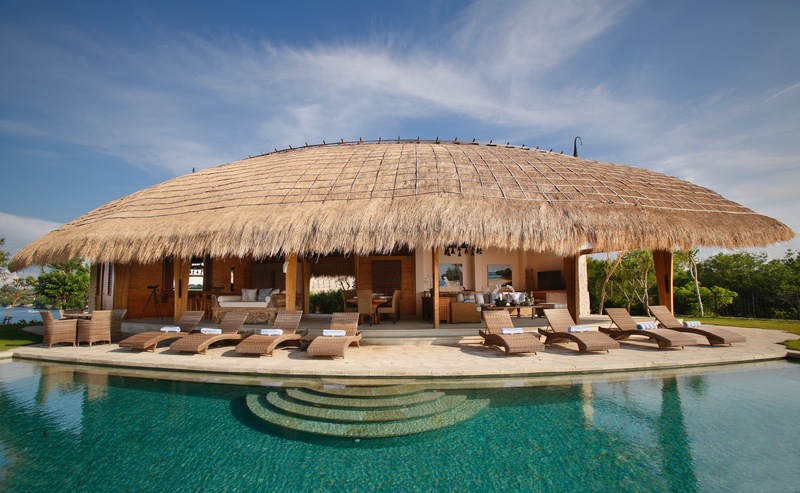 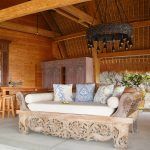 The Villa was designed by world famous Bali based architects Grounds Kent (best known for Four Seasons Bali). 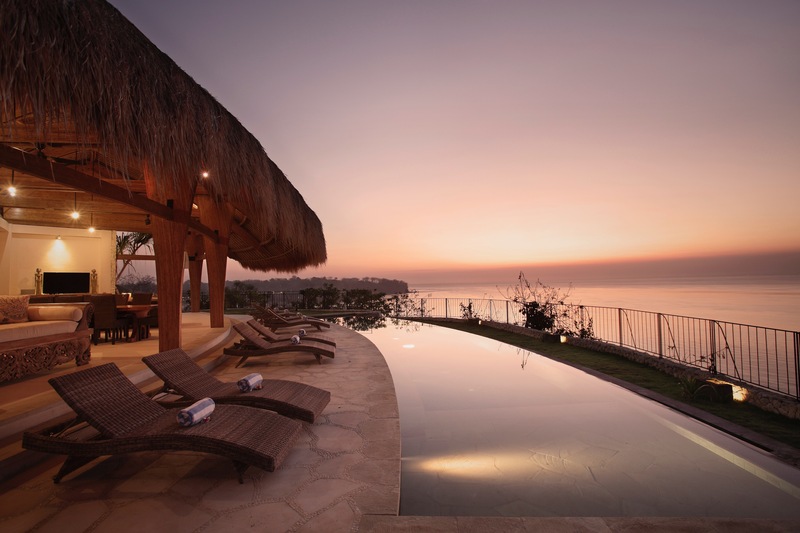 The gentle curved shape of both the pavilion and the infinity pool in front of it follow the natural shape of the site on this pronounced headland, embracing the panoramic ocean views. 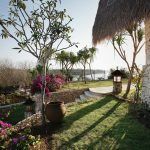 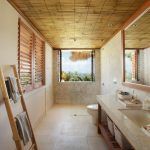 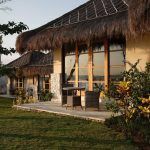 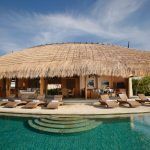 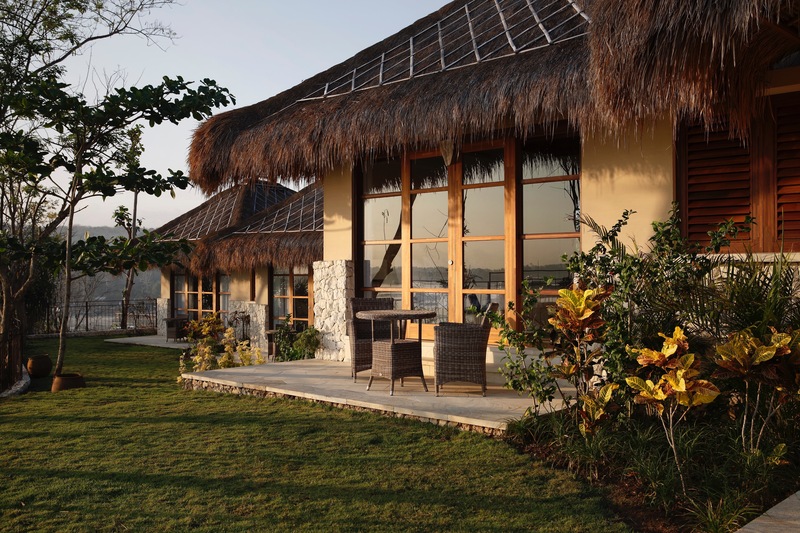 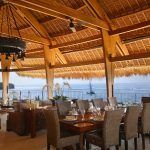 The alang-alang (thatched grass) roof over the pavilion allows it to blend seamlessly into the natural landscape behind.